2,4-dichlorophenoxyacetic acid is a synthetic auxin, which is a class of plant hormones, and is a member of the phenoxy family of herbicides. It enters the plant via the leaves and passes through its meristems, after which said plant’s stem will curl over, its leaves will wither, and the plant eventually dies. 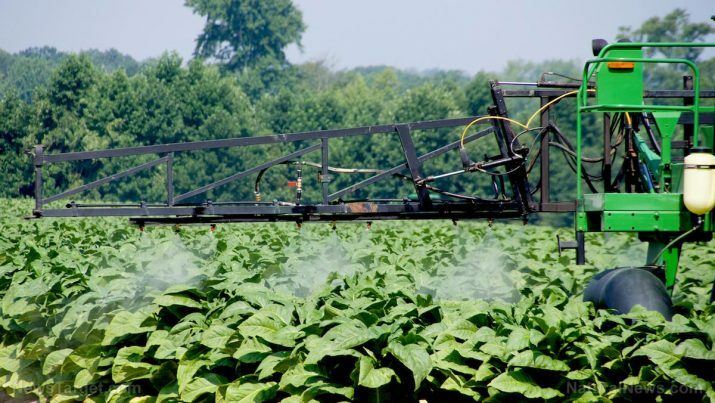 2,4-D is very popular as a herbicide in the United States; as a matter of fact, it is the third most used herbicide in the area. It served as a major ingredient in Agent Orange along with its chemical relative, 2, 4, 5-T (2, 4, 5-trichlorophenoxyacetic acid). 2,4-D is not naturally-occurring in the environment. It has nine forms that have herbicidal purposes and it is usually sold in liquid form. Upon heating, it emits toxic fumes that include hydrogen chloride. Its molecular formula is C8H6Cl2O3. 2,4-D can cause hypolipidemia, which is characterized as having abnormally low levels of lipid in the blood. Hypolipidemia can be a sign of malnutrition or liver disease. Exposure to 2,4-D can cause skin allergies. 2,4-D can cause a lot of damage to aquatic life. The damage that it leaves in oceans and seas is also long-lasting, something that can be felt by generations of aquatic species that are still to come. 2,4-D is bad for the excretory system. It encourages the growth of hepatic peroxisomes and increase hepatic carnitine acetyltransferase, which leads to disorders of the liver. It also negatively affects the kidneys. 2,4-D is bad for the ocular system. It causes serious eye damage and severe eye irritations. 2,4-D is bad for the respiratory system. It can give rise to asthma symptoms and breathing difficulties. It can also cause inflammation of the mucous membranes. 2,4-D is bad for the digestive system. It can induce diarrhea, gastroentric distress, vomiting, abdominal cramps, and dysphagia (difficulty in swallowing). 2,4-D is bad for the nervous system. It causes disruptions to the proper functioning of the brain and brings about mild depression. It also leads to weakness and lethargy, and ideations of anorexia. It can even cause stupor, or the state of being near-unconscious. 2,4-D is bad for the cardiovascular system. It can result in ventricular fibrillation, or when the heart quivers instead of pumps due to disorganized electrical charges in the ventricles, which can subsequently lead to cardiac arrest and even death. 2,4-D is bad for the muscular system. It can cause muscle twitching and myotonia, or the delayed relaxation (prolonged contraction) of the skeletal muscles after voluntary contraction or electrical stimulation. 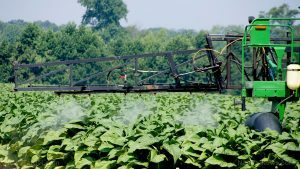 2,4-D is a major component of hormonal herbicides that are known to control and manage the proliferation of broadleaf and woody plants. Do not go into an area that has been contaminated by 2,4-D; if you happen to chance by such a location, immediately vacate the premises and take huge breaths of fresh air. Always use a self-contained breathing apparatus if you need to go to a place that has been filled with 2,4-D.
2,4-D can cause hypolipidemia, which is characterized as having abnormally low levels of lipid in the blood. 2,4-D is bad for the muscular, excretory, ocular, digestive, nervous, and cardiovascular systems. 2,4-D is not naturally-occurring in the environment.